1. Start with good-quality beans. 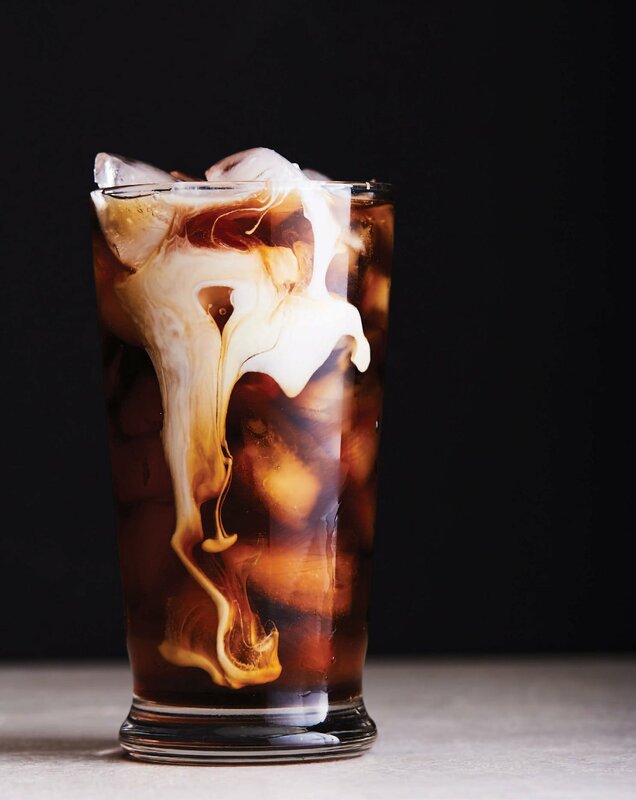 Remember, the better the beans, the better the iced coffee. 2. Make a coffee concentrate. Pour a pound of ground coffee into a large container, add two gallons of water, stir to combine, and cover the container. Let steep for at least 12 hours. Once it is ready, get another large container, top it with a strainer covered in two layers of cheesecloth, and slowly pour the coffee mixture through the sieve. Once done, throw away or compost the grounds, and refrigerate the concentrate. Now you are in business. 3. Fill your glass to the top with ice cubes. You can even keep a stash of coffee ice cubes in the freezer, but that’s Ph.D.-level stuff. 4. Add the coffee concentrate. Make sure it’s cold, and pour until the glass is about ¾ full. 5. Top with the dairy product of your choice. We like whole milk or half-and-half. 7. Put your feet up and sip away.